Stop guessing and start getting traffic with our proven system to make your pins go viral on Pinterest! EDIT: For a limited time, you can start a blog for as low as $2.95 per month for 12 months (referral link). That’s only $35.40 for the entire year! Hurry, this deal ends SOON. PS – you also get a free domain name ($15 value) when you sign up for a year’s hosting with Bluehost! There are over 100 billion pins on Pinterest. That is what you’re up against every time you send a new pin out into the world! It’s no wonder that sometimes it feels like your new content isn’t being seen — it might not be! With billions and billions of individual pins out there, it’s easy for YOUR pins to get lost in the shuffle. That is, unless you know what to do to make them stand out. Even better, you can actually make people want to click on your pins. They won’t be able to resist! It’s not luck (ok, there is always a little luck involved with viral content) — it is a proven system of creating viral pins. 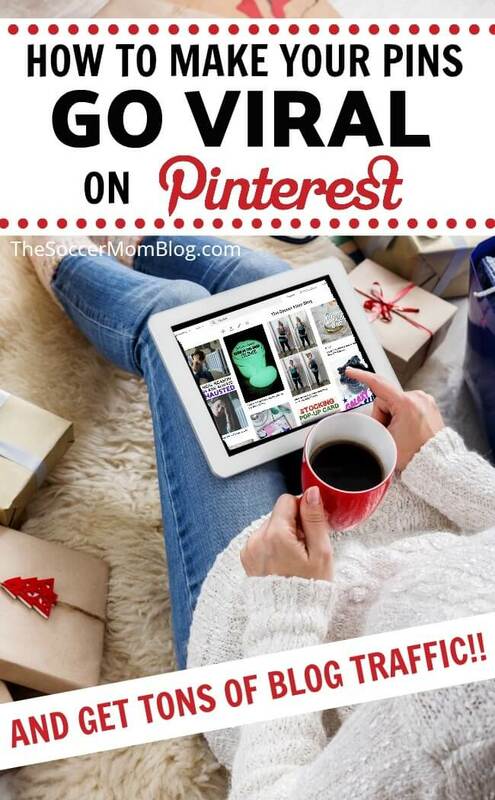 Even with the stiff competition, Pinterest is still a huge traffic source for bloggers. In fact, if you polled a group of professional bloggers, many (if not most) of them will tell you that Pinterest is their #1 traffic driver. There are over 200 million active monthly users on Pinterest. So while there is a lot of competition, there are also a lot of people that are using the app and looking for specific content. The key is to make sure that your content is what they are looking for, make sure they see it, and make sure they want to click it. It can be, but most bloggers are missing out on the true potential of Pinterest. When I first started blogging a few years ago, I didn’t understand Pinterest. However, my non-blogger friends convinced me that I needed to get onboard. So I did. The first month using Pinterest, I tripled my blog’s traffic. TRIPLED!! And that wasn’t even with viral pins, but simply by using Pinterest. I enjoyed creating pins for all of my blog posts, and within a couple months I had my first viral pin. SO MUCH BLOG TRAFFIC!! We’re talking tens of thousands of page views in ONE day for my blog that was less than a year old. After that I was hooked and determined to figure out exactly what it took to make Pinterest drive steady traffic to my website. So what did my first viral pin look like? This blog post has gotten almost 1 1/2 million page views since it went live a couple years ago. Sometimes I still can’t believe over a million people have read that post! It’s the post that showed me that blogging could be a legitimate business. It’s also the post that showed me the power of Pinterest. So what made this pin go viral? It’s vertical — This is one of the most basic aspects of creating a pin, but it is a crucial one. The majority of Pinterest users are on the phone app. Since phones have a vertical screen, a vertical pin image is the optimal orientation, and takes up the most “real estate” on screen. Pinterest recommends a pin size of 600px by 900px, though I also find that longer pins perform well too. Horizontal images look tiny on a phone screen, and can easily be overlooked as a user scrolls through their feed. There’s text — From my own experience, images with text overlays perform exponentially better than images alone. That’s because this extra snippet of text allows you to tell users what your pin is about, without them having to squint to read the description/title under the pin. It also gives you the ability to test out a catchier title than what you may have used for the actual blog post title. I liken this to a tabloid in the supermarket checkout, where there are a few snippets on the front of each magazine meant to grab your attention and get you to buy the issue. It Hits a “Pain Point” — By this I mean that the pin promises to help solve a common problem or provide a solution to an issue that many people share. Everyone wants to spend less money right? In my pin image, I made it very clear that the post tells how we saved a lot of money and implies that readers will be able to do the same. It’s Specific — You don’t want your pin image to give everything away, but you want people to know what the pin is about and if it could apply to them. If a pin is too vague, people won’t know what the post is about, they won’t know if it applies to them, and they likely won’t click on it. It’s Clear and Readable — This is one of my earlier pins, so it isn’t even one of my best designs. Like anything else in life, you get better at creating pins with practice. However, the photograph subject is easy to see (money, receipts, and a shopping list) and the text is easy to read. People know right away that this blog post is about how to save money…lots of money. It’s Bright — People are drawn towards bright colors. This pin has a lot of white space, which makes the black text and the image in the middle stand out. Avoid dark, dull colors for your pins. It is What it Says it Is — Don’t try to trick people into visiting your site. Your pin should describe what your blog post is actually about. If people visit your post and it isn’t what they expected, they won’t stick around long. Pinterest pays attention to how long people stay on your post, so if they exit right away, Pinterest will end up showing your pin to fewer people because they think it isn’t useful. Should All Your Pins Look Alike? You might have read some articles that suggest using a certain “style” for all of your pins, essentially creating a recognizable branding. I don’t follow this strategy for my pins, but instead I create pins specific to each post. I don’t think that one single template works for ALL of my content types. A recipe post needs a different style pin than a blogging tips post. I find the most success by customizing my individual pins. You can always brand them by including your logo and/or blog name on the pin. Or perhaps I just find it boring to keep doing the same “look” over and over. In the big scheme of things, branding your pins is less important than creating pins that get clicks and bring traffic to your site. I showed you my first viral pin, but I’ve used the same steps over and over to create dozens of viral pins. Some of my pins have been saved and re-pinned over 100,000 times each! The best part is that this system can be applied to ANY topic. The essentials for a viral pin are virtually the same, regardless of topic. I’ve created viral recipe pins, viral craft pins, viral parenting pins, and even viral video pins. A good pin is a good pin. Since I love creating Pinterest pins, I enjoy helping others do the same. I was also curious if my technique could be repeated with someone else’s content. First, I sat down with my mom (also a pro blogger) and showed her the steps I used to create viral pins. 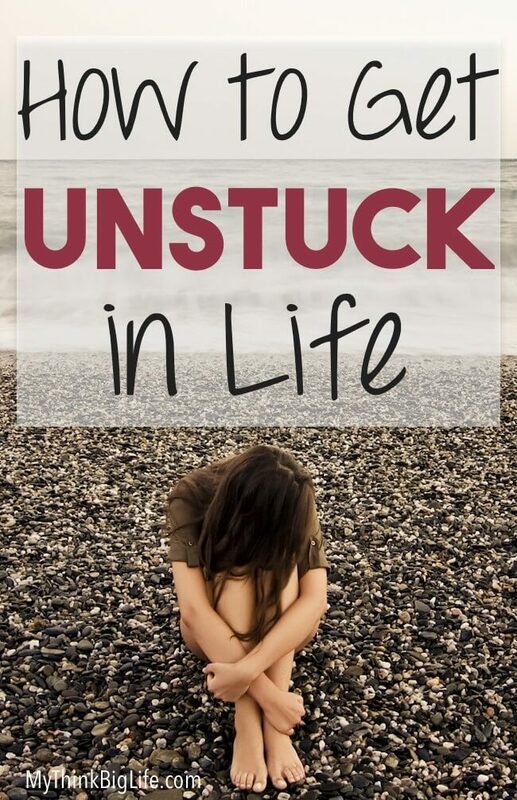 This post brings thousands of page views every month and has inspired her to write multiple follow-up posts that also went viral on Pinterest! YOU can also copy my proven technique to make viral pins. I detailed the basics above, but I’ve also created a detailed online course – Pins that Produce – which shows ALL of my Pinterest secrets. Because the sad truth is, you could be writing truly amazing content, but no one will know if they’re not visiting your site! In many of my blogging posts, I recommend keeping your expenses as low as possible until you start making a profit with your blog. And I stick by that advice! However, you’re not going to make money if you’re not getting people to your website. Pinterest is the fastest way to start getting people to your website, but it doesn’t matter how often you pin if you’re not pinning the right kind of pins! You can’t afford NOT to learn how to make viral pins! In Pins that Produce, I’ll show you step-by-step how I create viral pins, time and again, that send half a million visitors (or more) to my site every month. Pinterest was the key for growing my blog traffic to the point where it is a full-time income for my family, and I make 3-4 times more with my blog than I ever did with any other job! Click here to learn more about Pins that Produce and start making viral pins today! Before you create a viral pin, you want to make sure that your blog can handle viral levels of traffic! If your site goes down, a viral pin doesn’t do you any good! In fact, one of my blogging friends had a post go massively viral just last week! And then her site crashed. A solid, dependable hosting service is CRITICAL for your blog’s success. Note: I’ve included affiliate links for your convenience in setting up your own blog with services I love and use myself; disclosure policy available here. Bluehost has a 99.9% uptime, so you can publish worry-free. Plus they offer 24/7/365 support (seriously, I’ve called at 3am when I noticed someone trying to attack my site), so they are there to help whenever you need it. If you’re already with another host, Bluehost can help guide you through the switch, or handle it for you for a small fee. The Prime Plan offers SO many features that are usually extra, like daily site backups and domain privacy protection. I definitely recommend snagging this steal of a deal before it’s gone! Click here to learn more about the Prime Plan and the blog hosting features you can’t afford to skip. One of these starter hosting plans will serve you just fine until you’re really hitting big numbers. I stayed with the Bluehost Basic plan until I was in the 150K page views/month range (which is serious web traffic)! Hi Melissa – congrats on your new journey as a blogger! It doesn’t hurt to start creating pins and building your Pinterest account. You can always create new pins and re-promote them down the road when your blog grows. I am so excited to come across your blog. Thank you so very much for sharing this information. I am getting ready to start my first blog and what you have shared will most definitely get me started out on the right foot. I am excited for this journey and to join the blogging community. Abundant Blessings To You!